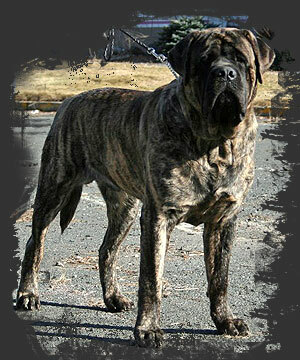 Uncle Mugsy is a very promising puppy from Vivien�s second litter by BIS/BISS Ch Southports Sherman. He is owned and loved by Carrie and Paul Nolin. He was Best in Sweepstakes both days at the 2009 MUNY Supported CT River Working Dog Association. Mugsy has awesome bone, great length of body, topline, substance, structure and the most endearing personality. Check out his gallery below. Copyright © 2006. All rights reserved. No photo may be reproduced without express permission.